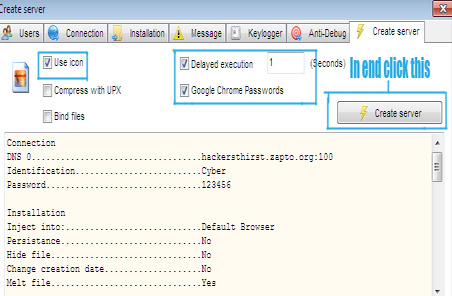 CyberGate is a powerful, fully configurable and stable Remote Administration Tool coded in Delphi that is continuously getting developed. 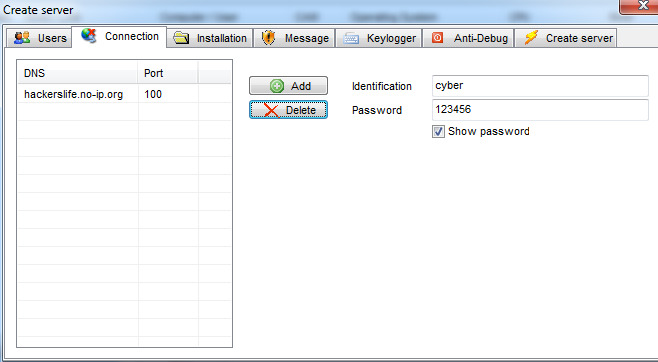 Using cybergate you can log the victim's passwords and can also get the screen shots of his computer's screen. You can connect o multiple victims in single time. One should no know what is the ip-address of the victims' computers. That is the main benefit. What you have to do is to spread the server file to the vicitms or the people whom you want to infect. 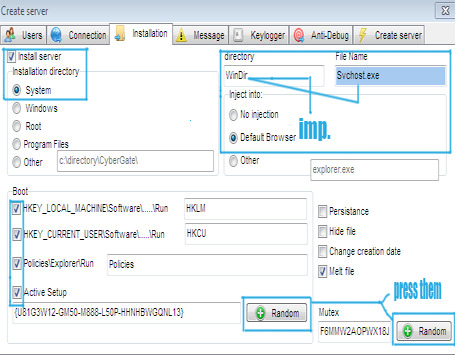 Also there is a file manager utility using which you can explore the data of the victim. So, its much exciting, therefore i thought to give a tutorial about it, since it can also be used for constructive purpose i-e you can view the clients of you office or your homies, that what are they doing at computer. Rather they are sincere or not. I am going to show you step by step guide, by creating my own server. Step 1) I have hosted to cybergate for dowloading to the two locations, as often i get messages that download link is not working. 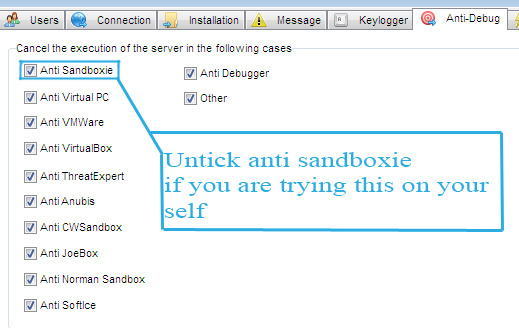 Step 2) Now, It will be better that you temporarily disable your antivirus software. and also other security software if its the case that CyberGate isn't working for you. 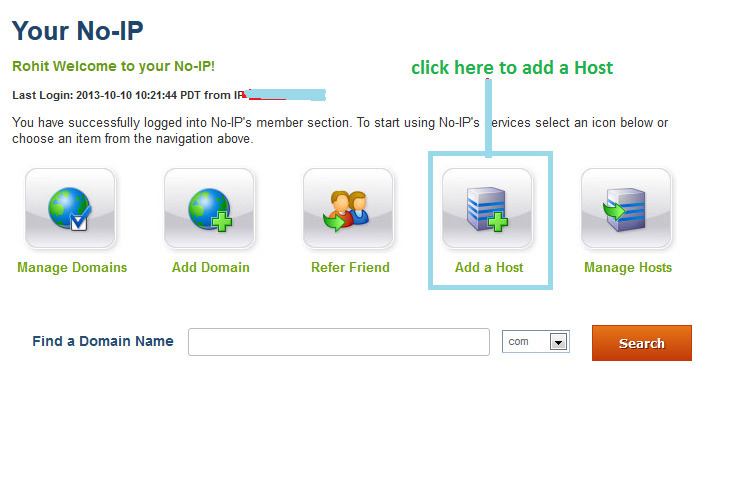 Step 3) Set up your account at no-ip.com , If you are already registered that just login. After loging in add a host. Step 4) You have to add host, Like this, after getting logged in! 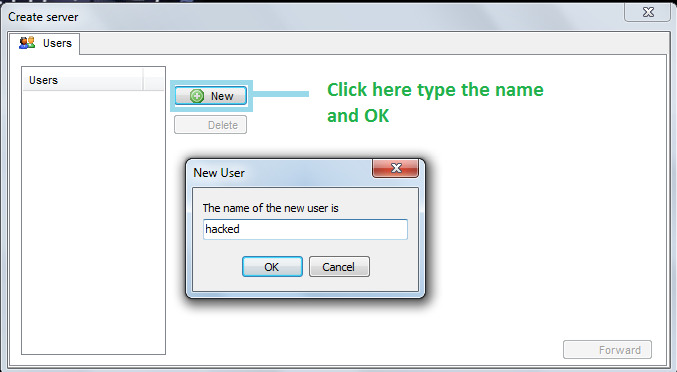 After that, fill like this, Replace hackerslife with your desired name! Host Type: DNS Host (A) , Further leave other fields blank like i did. Host process is now finished now i am moving to no-ip client. Step 5) Download no-ip client from here. Download according to your OS, It supports windows, mac or linux. 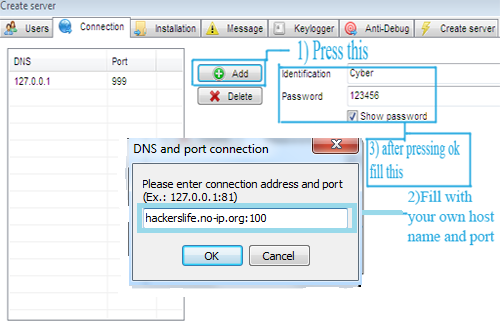 After downloading install the program, And then run it, You will promted to put in your email id along with password which you used to login to the no-ip.com, After loging in, Do what i did in the following screen shot! Note: Always keep this software opened, Whenever cyper gate is running. Thats it, We have done with no-ip.com, Now procees forward with cybergate! 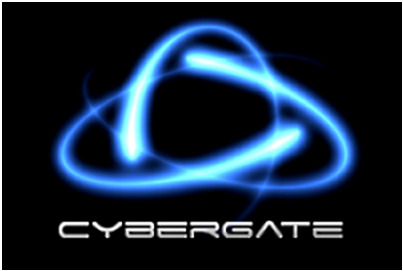 Step 6) Extract The Cybergate archive You Downloaded In The Beginning To Your Desktop! Once Extracted, Open It & Wait 20 Seconds For The Agreement To Pass! When It's Open, Press: Control Center -> Start. 1) At first, Write "100" In That Little Box And Press The Blue Arrow. Then It Should Appear Under "Active Ports"
2) Active Ports: The Port You Will Forward Later using modem or uTorrent! 3) Connections Limit: The Max Amount Of Victims You Can Have. 4) Connection PW: The Connection Password. Use "123456"
Once This Is Done, Press "Save"! And Replace Them With; 127.0.0.1:100 Since 127.0.0.1 Means "Local Computer & LAN Internet"
Well, i think for this section no further explanation is required, things themselves in the screen shot are telling that what they are meant to do. Step 10) Move on to the final tab, that is Create Server. and do what i did! What to do if RAT is not Connecting? 1) You are properly port-forwarded if using a router. 2) You have the No-IP Client installed and running. 3) Your DNS entries are correctly spelled when building your server. 4) The password in Listening Ports and the password your server uses are identical. 5) You are Listening on the correct ports. 6) Your Firewall is letting connections through on the port you're listening on. 7) Your server is added to excluded files in your Antivirus and Firewall. Once You've Port Forwarded Your Port: "100" Then Just Get It Crypted And Start Spreading. After that you will surely get some victims But i will surely point out here that don't use this for bad purpose! Note: All this was for educating my readers, HackersLife is not responsible for company or individual harm caused by it. Also don't use it to hack innocents, As this isn't attitude of hackers.